PNW District Optimist Clubs: What are you wearing for #OptimistDay? What are you wearing for #OptimistDay? If you are like me, every day is Optimist Day. You see, I'm proud that I belong to an Optimist Club 24/7. But some of our friends need a little extra reminder to share their Optimist pride and that is why Optimist International has invented #OptimistDay. Now in its second third annual celebration, Optimist Club members in the Pacific Northwest are invited to join the celebration. 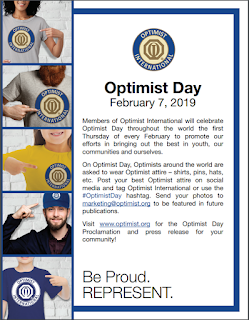 February 7, 2019, you are invited to wear your Optimist Club apparel - shirts, pins, hats, coats, and more - whatever you have that tells the world, "I am proud to be an Optimist." 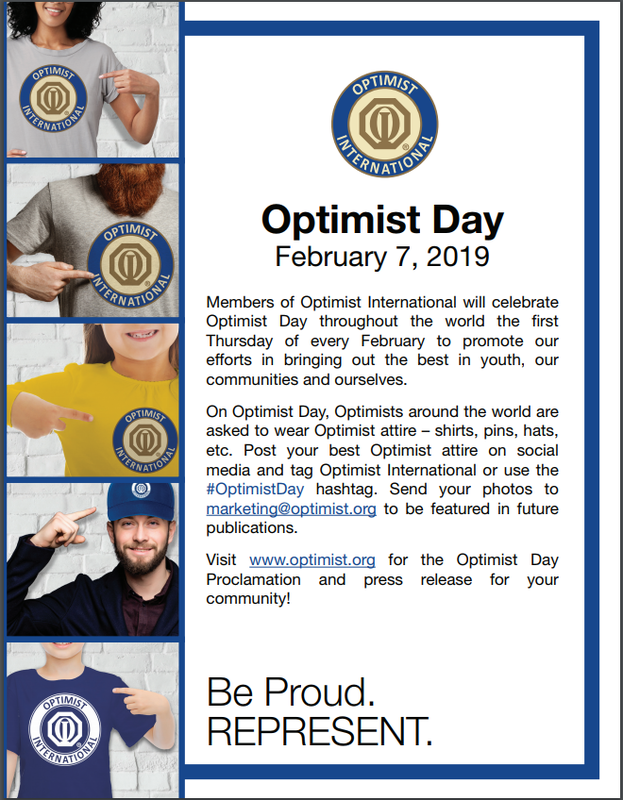 Next, take a picture of yourself in your Optimist Club clothes and post it on your Facebook page, Twitter and Instagram with the hashtag #OptimistDay. Finally, share it with us by email or on the PNW Optimist Clubs Facebook page. Be proud. #BeAnOptimist. We can't wait to see how you represent.